Jeon In-hwa is a South Korean actress who made her acting debut in 1985. She is well known for playing charismatic empresses in period dramas after winning a Daesang (Grand Prize) Award on the SBS Drama Awards in 2001 and Best TV Actress on the Baeksang Arts Awards in 2002. 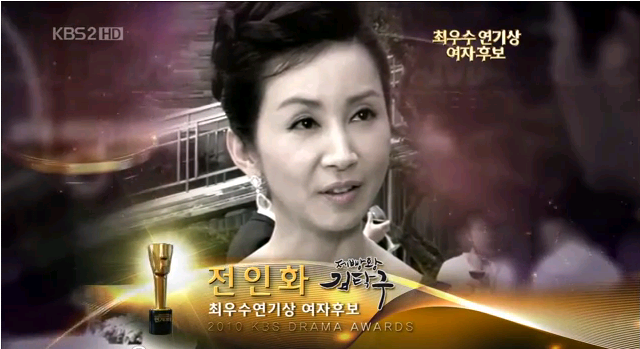 Jeon In-hwa is a senior actress who gets love and attention from the public for every appearance she make. Let’s get to know more about senior actress, Jeon In-Hwa. She was once in a short film on 2007 titled Aega (Love Song). Most of her appearances are in tv dramas. She has been quite famous since her debut for doing CFs and endorsements. She has already had 33 endorsements. She has already had won 10 awards since her debut as an actress. She had her first child at the age of 24. She originally debuted in entertainment industry as a model for CF when she was 20 years old. During an interview with Lee Sang-Min on KBS’s “Star Date”, he called her a woman who is sweet and beautiful. Jeon In-hwa is married to famous actor Yoo Dong-geun who is 10 years older than her. In their marriage, they have one son and one daughter. Their children were never exposed to the public. Both Jeon In-hwa and Yoo Dong-geun are still actively working as actors now. Jeon In-Hwa made her acting debut on the KBS2 drama “Starts on the Prairie” in 1985. Her hard work and amazing acting skills led her to getting her first award on the MBC Drama Awards in 1989 for Top Excellent Award, Actress category. Jeon In-Hwa also starred in the popular KBS drama “King of Baking, Kim Takgu”. Here is a list of the dramas that she has appeared in until now.